North Korean leader Kim Jong-un has reaffirmed his willingness to denuclearize and hold a summit with US President Donald Trump, South Korean President Moon Jae-in said Sunday. "Chairman Kim Jong-un has once again clearly expressed his commitment to the complete denuclearization of the Korean Peninsula following his pledge in the Panmunjom Declaration and expressed his willingness to end the history of war and confrontation through the success of the North Korea-US summit," Moon said of his latest summit with the North Korean leader held Saturday. "We two leaders agreed the June 12 North Korea-US summit must be successfully held," he told a nationally televised press conference. The latest inter-Korean summit was held on the North Korean side of Panmunjom, a border village that sits directly on the Military Demarcation Line that divides the two Koreas. The first Moon-Kim summit was held on the South Korean side of Panmunjom on April 27. Trump on Thursday (Washington time) called off his scheduled summit with Kim, citing the North's tremendous anger and open hostility, only to suggest later the meeting would go ahead as planned. "While explaining the outcome of my summit with US President Trump held last week, I relayed the message that President Trump is firmly willing to end his country's hostile relationship with North Korea and enhance economic cooperation should Chairman Kim make a decision on complete denuclearization and implements it," Moon said. The South Korean president visited Washington on Monday-Wednesday. He said his surprise meeting with Kim came at a suggestion from the North Korean leader, who on Friday expressed hope to meet for candid dialogue. "Also, as both Chairman Kim and President Trump sincerely wish for the success of the North-US summit, I stressed the need for the two sides to remove any misunderstanding through direct communication and to hold enough dialogue on agenda issues that need to be addressed at their summit," President Moon said, adding, "Chairman Kim also agreed." 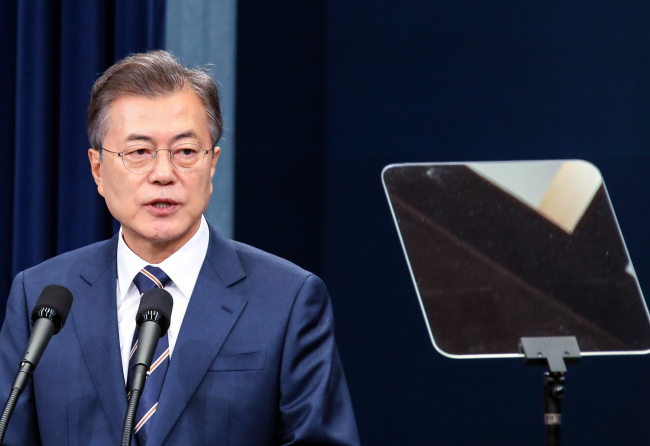 Moon insisted the US must have independently confirmed the North's willingness to denuclearize, saying that otherwise the US president would not have agreed to a summit with Kim. What caused the latest dispute may have been lingering uncertainties felt by Pyongyang about the US' security guarantee, he noted. "Chairman Kim Jong-un once again clearly affirmed that his commitment to complete denuclearization remains firm yesterday. What remains uncertain to Chairman Kim Jong-un is whether he can trust the US promise to end their hostile relationship and guarantee North Korea's security once the North denuclearizes," the president added. Moon noted his meeting with the reclusive North Korean leader may help revive the Trump-Kim summit but said the fate of the historic summit will largely depend on direct dialogue between the two countries. "All the efforts I am making now are aimed at improving the South-North Korea relationship on one hand, but on the other hand, they are also aimed at holding the North Korea-US summit that is absolutely needed to improve the South-North ties," the president said. "I believe whether the June 12 North Korea-US summit will be disrupted or succeed depends on how successfully (the North and the US) complete their working-level negotiations," he said, adding he expected such negotiations to soon commence. Trump earlier said the countries were currently in dialogue. On Sunday (Seoul time), the US president said a June 12 summit was still a possibility. "Should the North Korea-US summit succeed, I would like to see efforts to formally end the (Korean) war through a three-way summit of the South, the North and the US," he said. 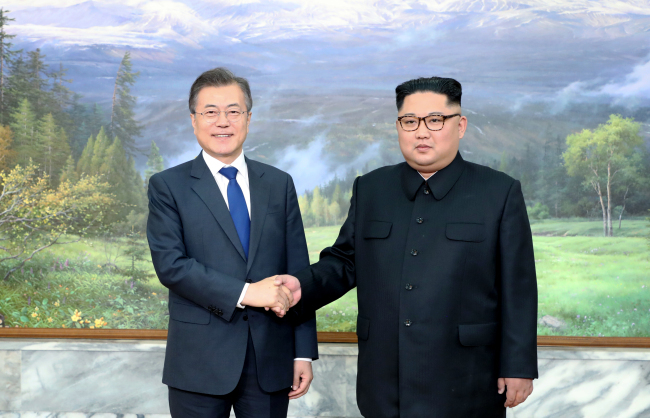 Moon and Kim vowed to take joint efforts to replace the Korean armistice with a peace treaty in their first summit late last month.